This is the most amazing collection you have ever seen! 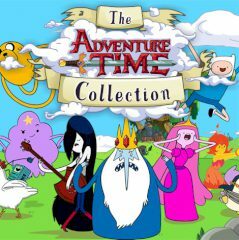 And here you will play with your best characters from Adventure Time. Just choose the character, collect all the gems and be the real winner of the game. Is everything clear? So, have much fun. Wow! It's incredible! Cause this time you are going to choose your favorite character and just try to reach the main goal! Everything is up to you, so just throw all the problems away and just try to collect all gems on the level. First of all you will play as Finn and you will do everything right, then you can already choose any of the characters. So, use the arrow keys to move and space to shoot your sword. So, if you are ready for that, then do not waste your time and have so much fun here. Enjoy the game.